After busting a global cricket betting operation earlier this year, Ahmedabad authorities have raided an apartment located in Kandivali. A spokesperson confirmed that the owner, Mahendra, is one of the bookmakers linked to the illegal betting syndicate. Police officers seized multiple (cell) phones and computers, while Mittal is still at large. 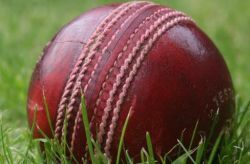 Local media report that Mittal allowed punters from all over the world to place bets on the cricket game India versus Sri Lanka. Gambling enthusiasts could also wager online. Police monitored the bookmaker during the match, and discovered that he cooperated with accomplices in other countries, including Pakistan and the United Arab Emirates. Earlier this year, police booked two underground bookmakers in Vadodara (Gujarat). Both individuals accepted bets on cricket matches during the ICC Cricket World Cup. Four months ago, three men from Delhi were booked for the same crime. Police allege that Mittal had links with the five bookmakers mentioned above. So far, ten bookmakers have been booked in connection with illegal betting operations. Nevertheless, authorities are still searching for multiple other suspects, including black-market bookies from Nagpur, Mumbai, Rajasthan, and the United Arab Emirates.